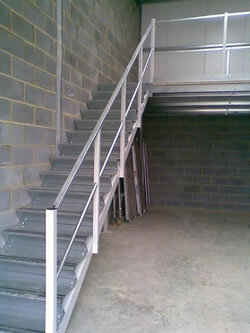 JC Engineering Products has been supplying quality sheetmetal fabrications for over 40 years. Located in Reading we are close to the M4 for easy access from the Midlands and the South of England. We offer our services nationally, distance being no problem, and our manufactured components are distributed on a global basis. JC Engineering is now incorporated and will be trading as JC Engineering Products Ltd.
January 2018 - JC Engineering are proud to announce the installation of our new LVD Phoenix fiber laser cutting machine. read more. Quality: In January 2009 we achieved ISO 9001:2008 accreditation awarded through ACS Registrars making us even better placed to offer our customers a first rate service. 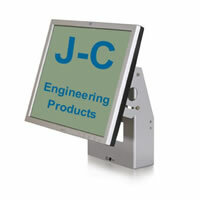 Electronic Enclosures: We specialise in the fabrication of enclosures. For the last 10 years we have been suppliers of the West Hyde Enclosures range. We also make bespoke enclosures to your requirements. RoHS & WEEE Directive: We are compliant with the requirements of the RoHS & WEEE European Union Directive 2002/95/EC in that none of the flat steel products and their coatings that we use contain either Polybrominated bipnenyls (PBB) or Polybrominated diphenyl ethers (PBDE). Where metal finishing is required we look for service providers that offer alternatives to treatments that utilise lead or hexavalent chromium based compounds and where Alocrom is concerned, such as golden, clear and green finishes we follow guidance from Trimite which is officially endorsed by Henkel. For further information please feel free to ask. Contact Us : Whatever your requirements, be they chassis's, front panels, brackets or 19" enclosures, chances are we've probably already made it. Our online quotation form makes it easy for you to get in touch with us and send supporting drawings directly from your computer. If you have an interest in our services please do not hesitate to contact us.